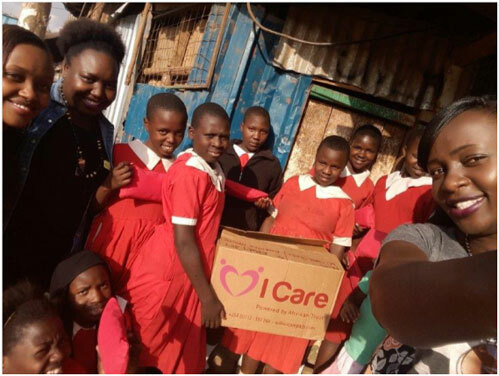 **Summary: Keep a girl child in school is a charity the supplies reusable (for two years) sanitary towels to girls who need to attend school. This is a need commonly overlooked or forgotten about when fundraising however one that can cause a huge effect on girls. If a child doesn’t have suitable resources during her menstruation cycle she is simply not allowed to attend school. This is a common cause for young girls to leave the education system. **Story: Gavin and myself (Sara) linked up with Earth’s Edge who supported and guided our adventure. We where joined by a local friend John McCarthy, some members of blarney walking club and few other’s making our team total 16 (excluding the 60 local porters who made the whole trip possible). We used the Machame route, which lasted 6 nights/ 7 days with our summit-taking place on the fifth night. This route can be challenging and is therefore less travelled so we took our time. 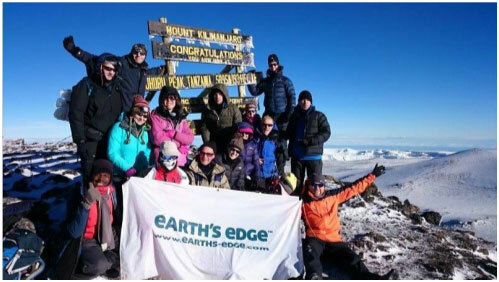 The summit point is known as the Uhuru peak, which is 5895m. On summit night, we left at 11pm to embark on our 7-8 hour adventure to the top where we spent 15 minutes soaking up the magnificent scenery (and of course the achievement!). The whole trip was an amazing experience, one that I would never forget but to link it with such a fantastic cause made it even more worthwhile. By holding a coffee morning before hand and donations from friends and family we where able to raise enough money to support 50 school girls for two years.